In a regular car accident, the parties involved will exit their vehicles so they can exchange insurance information and can proceed with their claims. When there’s a single-vehicle accident, you may be worrying about affording the damages or how insurance will cover it even though the negligent party isn’t there. It’s important to know that there are still legal options for you. The law firm of Belsky, Weinberg & Horowitz, LLC, is ready to represent your interests. Throughout the Baltimore, Maryland, area we represent individuals who have been injured in car accidents, truck accidents and other personal injury and auto accident claims. We are experienced Baltimore car accident lawyers who continue to maintain a proven track record helping injured victims. Do I Still Have A Claim If My Vehicle Was the Only One in The Accident? In most cases, yes. You still have a claim if you are in a single-vehicle accident. It is important that you talk with a lawyer at Belsky, Weinberg & Horowitz, LLC, soon after the accident so we can determine if you have a claim and what type of benefits you may be entitled to. You may be able to get benefits under your own insurance policy if you have uninsured/underinsured motorist coverage. Even as a passenger, there are still possibilities for recovering benefits. Without help from an attorney you risk missing out on available benefits for your claim, and at Belsky, Weinberg & Horowitz, LLC, we will make sure that your rights are protected. There’s also an investigation that goes with a hit-and-run accident because it’s a crime. The police have a few methods to use that could potentially lead them to the person responsible. They’ll check the surrounding area and see if there is any video surveillance they can consult or they will look for eyewitnesses. If nothing turns up, police may even turn to social media to reach more people and see if they saw anything out of the ordinary. One major thing that you should know about is to stay off social media when dealing with a car accident. Your posts can be used against you, especially if you’re seeking pain and suffering damages. Insurance companies could use your posts as evidence that you’re overexaggerating your pain or not as hurt as you claim to be. You deserve to have peace of mind that someone is looking out for your best interests. The law firm of Belsky, Weinberg & Horowitz, LLC will fight for your right to get compensation for your injuries, property damage, and lost wages if you’ve had to miss work. 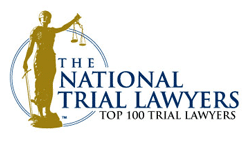 Please contact us at 410-234-3992 or 800-895-5333 to schedule your free initial consultation with one of our experienced attorneys so you can discuss the merits of your case. We will schedule appointments at any of our Maryland office locations.